Boldt Castle is your classic heartbreak tale. What better way to start off your Valentine's Day? It encompasses everything from rags to riches, to love, and lastly to loss. We can't explain the grandeur of this amazing castle until we tell you the story of the man who built it. George Boldt was a Prussian-born immigrant to the United States. He started off his working life in the United States working in the kitchen of one of the most exclusive gentleman's clubs, the Philadelphia Club. Funny enough, his future father-in-law offered him the job! Learning he had a knack for the hospitality industry, Boldt started investing in larger projects. 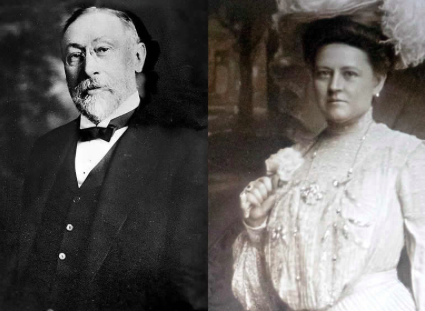 He eventually became a grand hotelier responsible for hotels such as the Bellevue-Stratford (now Park Hyatt), the merging of the Waldorf-Astoria, and owner of the Waldorf-Astoria Cigar Company. Boldt had built a beautiful life for himself and wanted to surprise his beloved with a beautiful property. He decided to buy Hart Island in the Thousand Islands of New York State. He changed the name to Heart Island and started construction of the Boldt Castle in 1900. Tragically, in 1904, Louise Boldt suddenly passed away. George Boldt was inconsolable and even though the home was only months away from completion, he halted all construction on the castle. It sat vacant for 73 years. Boldt never remarried and instead focused on charitable efforts the remainder of his life. He was a trustee of Cornell University and anonymously sent 75 men through college. He was also a frequent donor of the American Red Cross, hospitals in New York, and he built a library in Alexandria Bay, NY. George Boldt passed away in 1915 of a heart attack or as many might say, heartbreak. His assets were divided equally amongst his two children and they made no effort to sell off any of Boldt's properties. They continued to give to their father's charitable causes and run his businesses. In 1977, the Thousand Islands Bridge Authority acquired the castle and deemed all proceeds from the castle would go into the preservation of it for future generations. Today, you can reach the Boldt Castle by ferry, private boat, or tour boat. It is used today as a tourist attraction. It has self-guided tours, weddings, and special events that can be hosted there. 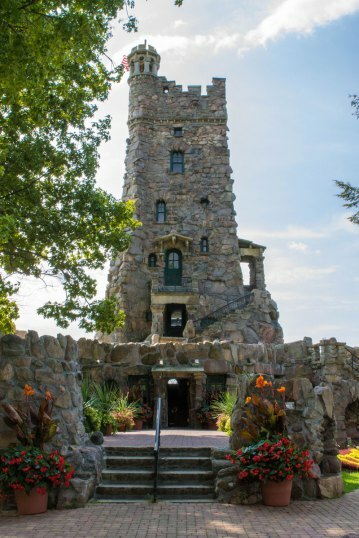 Boldt Castle is a tragic love story but today is a well-preserved architectural and historic gem.